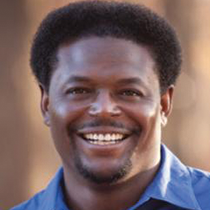 Former NFL defensive back, Pastor Derwin Gray, shares 3 ways to maximize your "halftime adjustment." Winning in the National Football League is HARD! The great majority of NFL games will be decided by six or less points every game this season. When I played football in high school and college, I knew several games each season we’d win by 30 points. In the NFL, I knew every game was going to be close. Going into a game, every team has a game plan. The teams that constantly win in the NFL are the teams with great head coaches and assistant coaches that make the best adjustments at halftime. There’s a reason why the Steelers owned the 70s, the 49ers owned the 80s, the Cowboys owned the 90s, and the Patriots have owned the 2000s. They all had Hall of Fame coaches that knew how to maximize the halftime adjustment. Know who you are and be who you are as an organization. Those you lead will know if you are panicking. A panicked leader produces panicked followers. Panicked people can’t execute. Put those you lead in positions to be successful according to their talent and the adjustments you have to make to win.